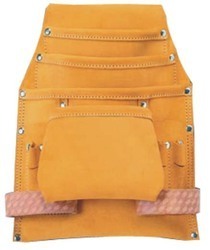 Prominent & Leading Exporter from Jalandhar, we offer leather welding apron and pocket nail and tool bag. All our products are integrated Leather Welding Apron with the fine components that makes the entire range superior in quality. It consist of 1 large pockets, 1 adjustable nylon belt and Double stitched. 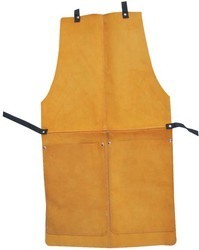 The provided array of leather welding apron is extensively used for conducting the operations of drilling accurate & deep holes. All our products are integrated Pocket Nail & Tool Bag with the fine components that makes the entire range superior in quality. It consist of 1 large main pockets, 1 medium sized nail pocket, 6 Small pencil pocket, 2 leather hammer loops & a steel tape holder.